Happy World Turtle Day! Humanity Team Adores Turtles! 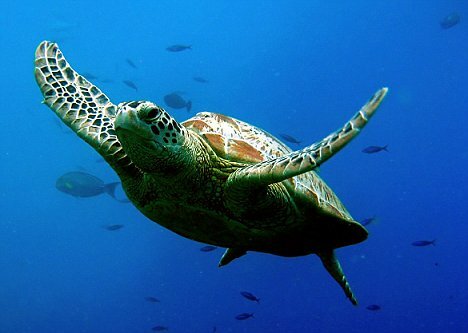 Today, May 23, is World Turtle Day! It is a day, sponsored yearly since 2000 by American Tortoise Rescue, is to bring attention to, and increase knowledge of and respect for, turtles and tortoises, and encourage human action to help them survive and thrive. The Humanity team adores turtles and tortoises, who could benefit from some effective management! Turtles are some of the world’s oldest creatures, with leatherback sea turtles being the largest living reptile in the world. These majestic and beautiful creatures are under an incredible amount of stress and are rapidly disappearing as a result of a multitude of factors. Turtles are threatened by humans and are affected by a variety of environmental conditions at all stages of their lives. With effective management and the Humanity applications, perhaps turtles and tortoises populations will thrive! They could benefit from our extensive communication lines, integrated training module and could keep track of their fellow turtles with our staff gallery and time clocking features. Our workforce management platform would allow the turtles and tortoises of the world to keep track of one another and communicate issues that they face – quickly and so easily! Between our ‘Message Wall’, private inbox and ‘Ping’ features, they could avoid unwanted problems (like humans trying to catch them) and share crucial information with turtles and tortoises all around the world. Similarly, our extensive ‘Training’ module would give these magnificent creatures the tools to ensure they are aware of all protocols and processes, such as migration patterns. This means nobody would get lost or get into any sticky situations! The staff gallery and ‘Who’s On Now’ modules means that all turtles and tortoises are accounted for. Pictures, nicknames and locations can be added to staff profiles, too!